A sound knowledge of anatomy and physiology is an essential basis for the effective clinical treatment of companion animals. 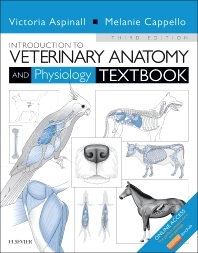 The new third edition Introduction to Veterinary Anatomy and Physiology Textbook offers clear and comprehensive of the common companion animal species. Updated throughout with a new section added on large animals, the new edition features augmented online learning resources with new questions and quizzes. Students can test their knowledge with multi-choice questions, drag and drop exercises and an image bank, while instructors can download questions, figures and exercises to use as teaching aids.